Stampin Up news -- lots and lots of news! I apologize in advance for this loooong message but I have lots of tasty Stampin Up news tidbits to share. Enjoy! 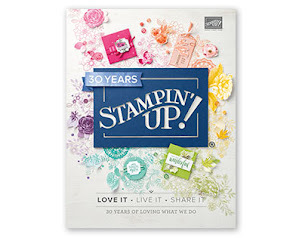 The new Stampin Up annual catalog will launch in just two weeks, on June 1st! To celebrate I'm throwing an New Catalog Open House on Saturday, June 10th, 11am-2pm, at my house. Stop by to pick up your copy of the new catalog and make a few make 'n takes featuring some of the fabulous new items. You and your BFFs are invited to this free event. You're going to love the new catalog! Special offer during May, featuring the Eastern Palace suite from the new catalog, available in two exclusive bundles -- the bundles, with free items, will not be available after May. See what I have made with my bundle below. Click here to see the bundles and order yours today! The clearance rack was recently restocked, many of the sale items are Christmas and Halloween themed --all clearance items are available While Supplies Last, so don't miss out! click here to check out the bargains. There are plenty of retiring items available (but not for long!) and many are discounted. Some bundles are retiring but the items in them are not, meaning you can save 10% by purchasing bundles before they retire on May 31st. Click here and start shopping now! During the Creativity Starts Here promotion (going on now), new subscribe to My Paper Pumpkin enjoy a 25% savings on kits for the first 3 months. Subscribe and use code STARTHERE by June 10th to enjoy these savings. Tip: subscriptions are tied to subscriber email address, so new address = new subscriber 😊 Click here to subscribe (links to me so you can enjoy my monthly Paper Pumpkin Night; see details below). My annual Hostess Appreciation Day is set for Saturday, July 22. Each year I invite all of my Stampin Up hostess from the previous 12 months to my house to enjoy free stamping projects to thank them for supporting me and my Stampin Up business (I'll supply everything for approximately 6 projects). So if you have participated in my monthly hostess stamp club or hosted your own stamping party, look for your personal invitation in July. If you want to receive an invitation this July, hostess a party ASAP! Thursday, May 18th, 7 to 9pm; make 4 cards (2 each of 2 designs) featuring the exclusive Eastern Palace premiere bundle. Cost is $10 or free with minimum order. More classes in May.... Tuesday, May 23rd and Tuesday, May 30th. All retiring non-stamp items are available while supplies last and will be discontinued after May 31; stamps will go into while supplies status after May 22. Purchases of $150 or more earn host shopping dollars -- and an invitation to my July Hostess Appreciation Event. Some items are being reconfigured, other items are currently offered in bundles that will not have a discounted price in the new catalog. Pay attention and shop wisely! Choose me as your Stampin Up demo when you subscribe (or use the link below to automatically select me) and you get a free crafting night every month. Bring your kit to my house and get your pumpkin on! Pumpkin kit night is held at the end of the month, 7-9pm; upcoming Pumpkin nights are May 31st, June 29th, and July 31st. Click here to subscribe (links to me) and join the fun. But wait, there are more perks for subscribing! Only kit subscribers can purchase kit refills and additional kits (while supplies last). Sign up today!